Correia C, Schneider PA, Dai H, Dogan A, Maurer MJ, Church AK, Novak AJ,Feldman AL, Wu X, Ding H, Meng XW, Cerhan JR, Slager SL, Macon WR, Habermann TM, Karp JE, Gore SD, Kay NE, Jelinek DF, Witzig TE, Nowakowski GS, Kaufmann SH. BCL2mutations are associated with increased risk of transformation and shortenedsurvival in follicular lymphoma. Blood. 2015 Jan 22;125(4):658-67. Moskowitz AJ, Schöder H, Yahalom J, McCall SJ, Fox SY, Gerecitano J, Grewal R, Hamlin PA, Horwitz S, Kobos R, Kumar A, Matasar M, Noy A, Palomba ML, Perales MA, Portlock CS, Sauter C, Shukla N, Steinherz P, Straus D, Trippett T, Younes A, Zelenetz A, Moskowitz CH. PET-adapted sequential salvage therapy with brentuximab vedotin followed by augmented ifosamide, carboplatin, and etoposide for patients with relapsed and refractory Hodgkin's lymphoma: a non-randomised, open-label, single-centre, phase 2 study. Lancet Oncol. 2015 Feb 12. pii: S1470-2045(15)70013-6. doi: 10.1016/S1470-2045(15)70013-6. [Epub ahead of print] PubMed PMID: 25683846. Chong EA, Ahmadi T, Aqui N, Svoboda J, Nasta SD, Mato AR, Walsh KM, Schuster SJ. Combination of lenalidomide and rituximab overcomes rituximab-resistance in patients with indolent B-cell and mantle cell lymphomas. 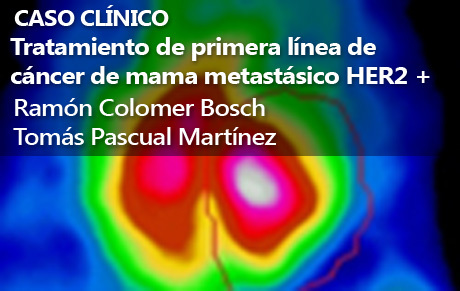 Clin Cancer Res. 2015 Jan 28. pii: clincanres.2221.2014. [Epub ahead of print] PubMed PMID: 25632047. Gopal AK, Kahl BS, de Vos S, Wagner-Johnston ND, Schuster SJ, Jurczak WJ, Flinn IW, Flowers CR, Martin P, Viardot A, Blum KA, Goy AH, Davies AJ, Zinzani PL, Dreyling M, Johnson D, Miller LL, Holes L, Li D, Dansey RD, Godfrey WR, Salles GA. PI3K? Inhibition by Idelalisib in Patients with Relapsed Indolent Lymphoma. N Engl J Med. 2014 Jan 22. [Epub ahead of print] PubMed PMID: 24450858. Salles G, de Jong D, Xie W, Rosenwald A, Chhanabhai M, Gaulard P, Klapper W, Calaminici M, Sander B, Thorns C, Campo E, Molina T, Lee A, Pfreundschuh M, Horning S, Lister A, Sehn LH, Raemaekers J, Hagenbeek A, Gascoyne RD, Weller E. Prognostic significance of immunohistochemical biomarkers in diffuse large B-cell lymphoma: a study from the Lunenburg Lymphoma Biomarker Consortium. Blood. 2011 Jun 30;117(26):7070-8. Coiffier B, Li W, Henitz ED, Karkera JD, Favis R, Gaffney D, Shapiro A, Theocharous P, Elsayed YA, van de Velde H, Schaffer ME, Osmanov EA, Hong X, Scheliga A, Mayer J, Offner F, Rule S, Teixeira A, Romejko-Jarosinska J, de Vos S, Crump M, Shpilberg O, Zinzani PL, Cakana A, Esseltine DL, Mulligan G, Ricci D. Prespecified candidate biomarkers identify follicular lymphoma patients who achieved longer progression-free survival with bortezomib-rituximab versus rituximab. 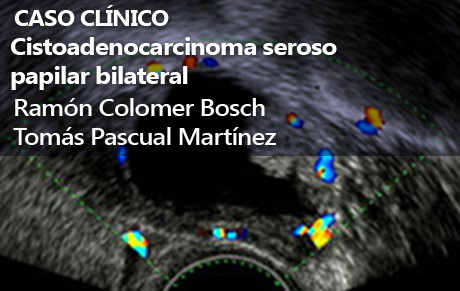 Clin Cancer Res. 2013 May 1;19(9):2551-61. Ibrutinib, inhibidor de la tirosin kinasa de Bruton. Winer ES, Ingham RR, Castillo JJ. PCI-32765: a novel Bruton's tyrosine kinase inhibitor for the treatment of lymphoid malignancies. Expert Opin Investig Drugs. 2012 Mar;21(3):355-61. Therapeutic targeting of CD19 in hematological malignancies: past, present, future and beyond. Leuk Lymphoma. 2013 Sep 3. [Epub ahead of print] PubMed PMID: 23885836. Gopal AK, Kahl BS, de Vos S, Wagner-Johnston ND, Schuster SJ, Jurczak WJ, Flinn IW, Flowers CR, Martin P, Viardot A, Blum KA, Goy AH, Davies AJ, Zinzani PL, Dreyling M, Johnson D, Miller LL, Holes L, Li D, Dansey RD, Godfrey WR, Salles GA. N Engl J Med. 2014 Jan 22. [Epub ahead of print] PubMed PMID: 24450858.
a study from the Lunenburg Lymphoma Biomarker Consortium. Salles G, de Jong D, Xie W, Rosenwald A, Chhanabhai M, Gaulard P, Klapper W, Calaminici M, Sander B, Thorns C, Campo E, Molina T, Lee A, Pfreundschuh M, Horning S, Lister A, Sehn LH, Raemaekers J, Hagenbeek A, Gascoyne RD, Weller E. Blood. 2011 Jun 30;117(26):7070-8. Prespecified candidate biomarkers identify follicular lymphoma patients who achieved longer progression-free survival with bortezomib-rituximab versus rituximab. Coiffier B, Li W, Henitz ED, Karkera JD, Favis R, Gaffney D, Shapiro A, Theocharous P, Elsayed YA, van de Velde H, Schaffer ME, Osmanov EA, Hong X, Scheliga A, Mayer J, Offner F, Rule S, Teixeira A, Romejko-Jarosinska J, de Vos S, Crump M, Shpilberg O, Zinzani PL, Cakana A, Esseltine DL, Mulligan G, Ricci D. Clin Cancer Res. 2013 May 1;19(9):2551-61. Therapeutic targeting of CD19 in hematological malignancies: past, present, future and beyond. Katz BZ, Herishanu Y. Leuk Lymphoma. 2013 Sep 3. [Epub ahead of print] PubMed PMID: 23885836.